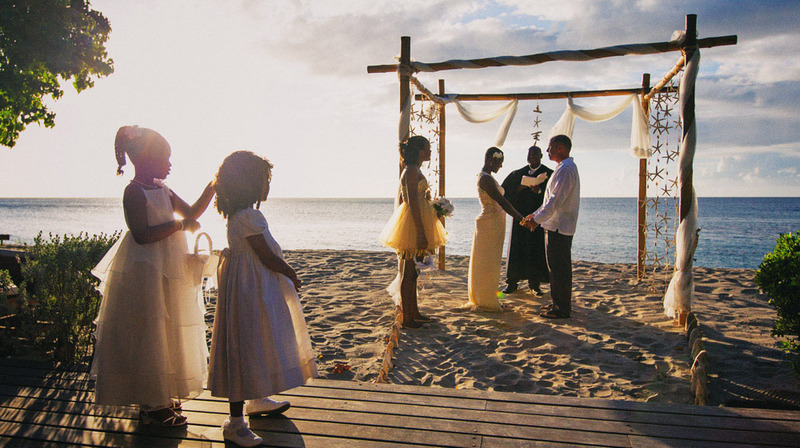 Laluna Resort is a one of Grenada’s many secrets and a dream for anyone looking for a true Grenada holiday in a discreet romantic Caribbean hideaway. 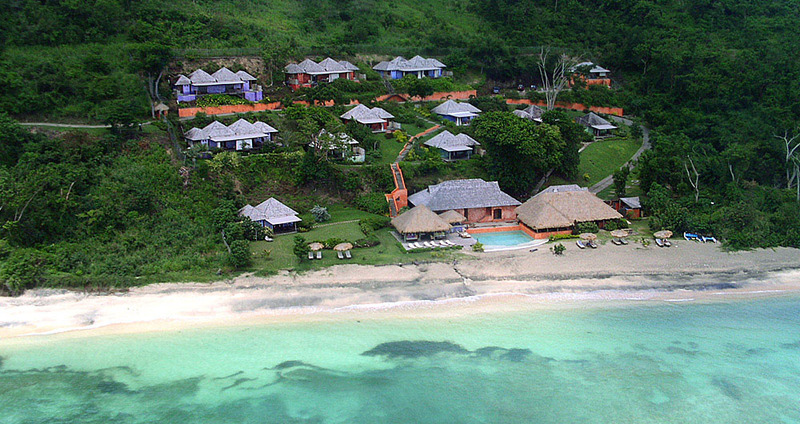 It nestles in ten acres of untouched land and is surrounded by emerald-green hills and an absolutely amazing, pristine totally secluded white sand beach with azure blue waters making for a totally secluded resort you will rarely want to leave. 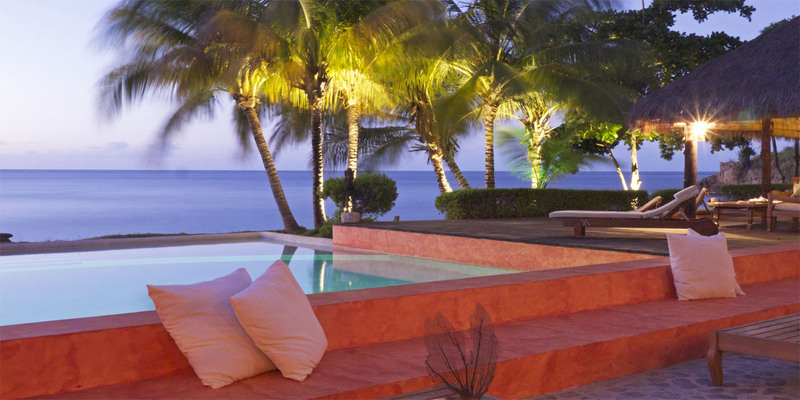 A strong Italian influence can be felt throughout this luxurious enclave of 16 cottages mixing traditional Caribbean materials with a minimalist style and Indonesian elements. 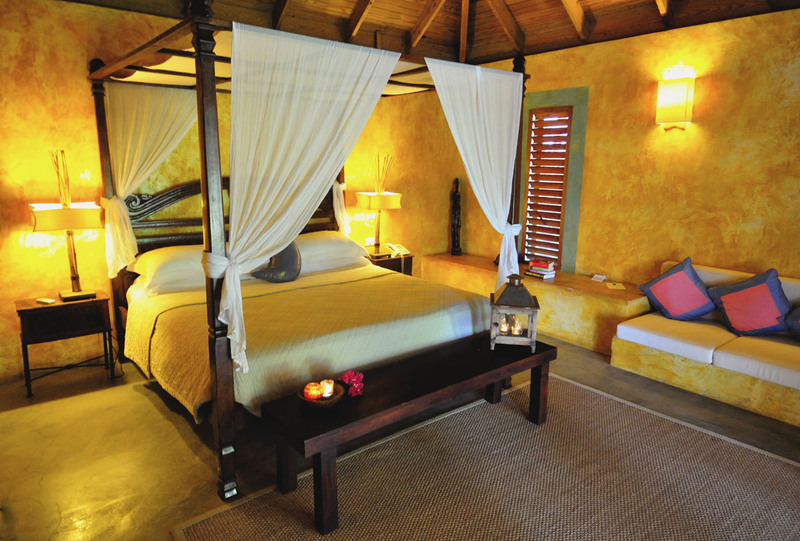 Warm natural tones and sensual textures are used in all the public spaces as well as the interiors of the cottages. Intimate sitting areas with overstuffed pillows around the resort encourage private conversations around the fresh-water pool. Serving as the nerve centre for the property the Clubhouse area consists of several low-lying wooden and cement buildings with overhanging thatched roofs. 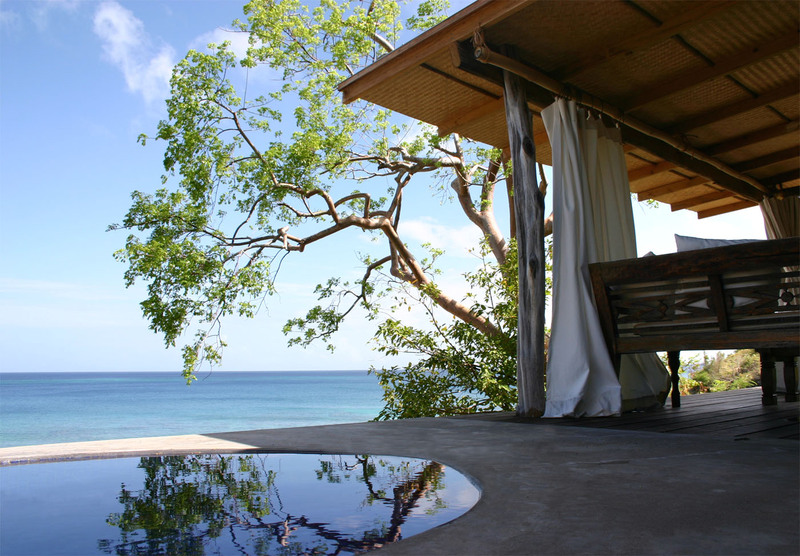 Open and airy, the Club House overlooks the large fresh-water swimming pool, which in turn overlooks the resort’s secluded white sand beach. This building houses reception, the bar and restaurant. 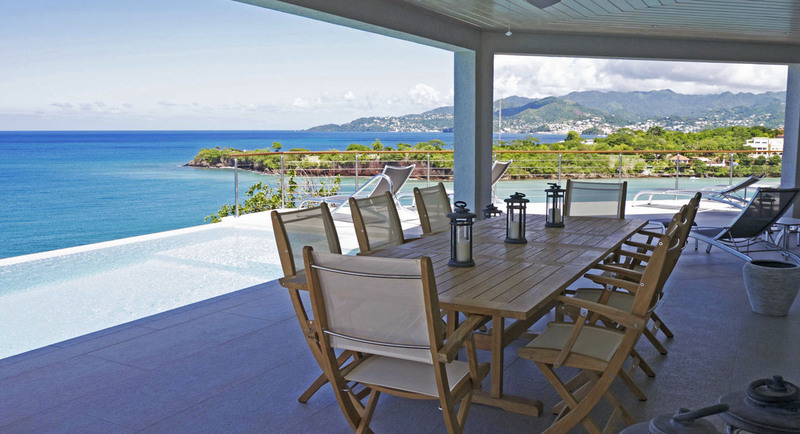 The property is a ten-minute drive from both Maurice Bishop International Airport, which is on the south-western tip of the island of Grenada, and St. George’s the capital. 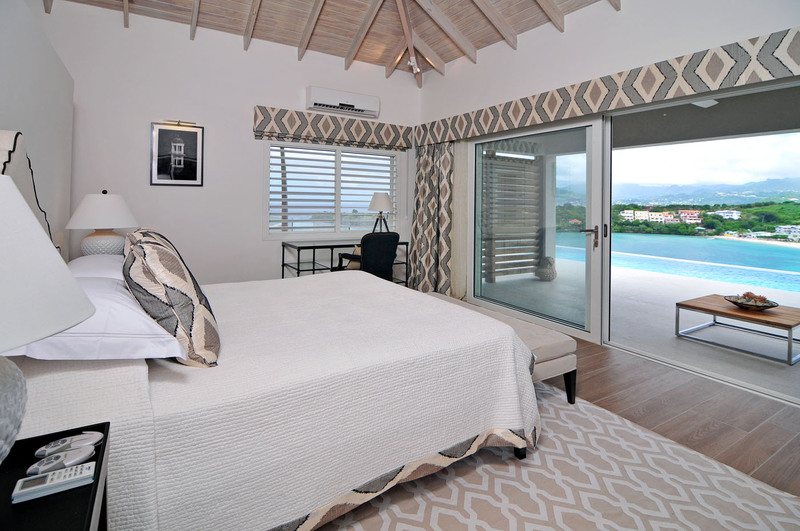 Inviting Mediterranean colours such as warm cinnamon, sienna, and sun-kissed yellow flow throughout the resort’s 16 one and two bedroom private guest cottages all designed in an open-style plan to take advantage of the panoramic view of the ocean. A very special feature in the bathrooms is that the ocean serves as the backdrop and is partially exposed to the natural environment. Each contains large, custom-made showers and is carefully detailed to offer the ultimate comfort. Special touches are evident throughout, from the curvy light fixtures, to the soaps and lotions hand-made and selected for LALUNA from a monastery in the Italian Alps. The restaurant’s unique wine cellar houses popular Italian wines as well as a more select variety from small undiscovered vineyards in Italy, most of which could be new to wine lovers. 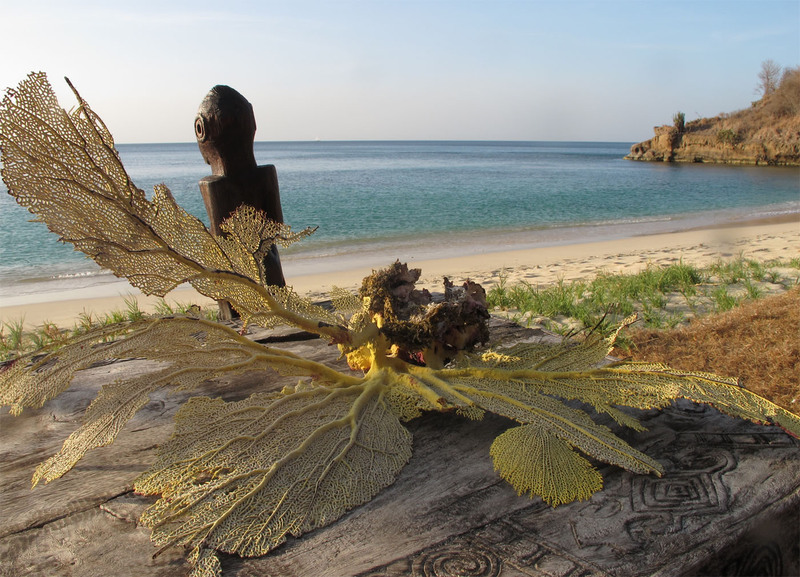 These have been specially chosen to perfectly complement the restaurant’s eclectic menu, which will combine fare from the sea with the Italian specialties. 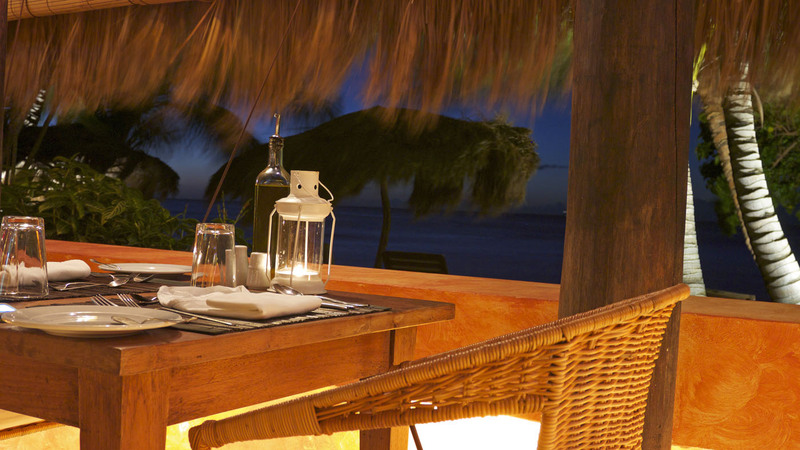 LALUNA’s restaurant opens directly onto the beach, offering guests a romantic view of the bay and seats only 48 diners, providing the perfect ambiance for guests to experience the tempting dishes. The Sunset Bar is a perfect location to recapture the day. 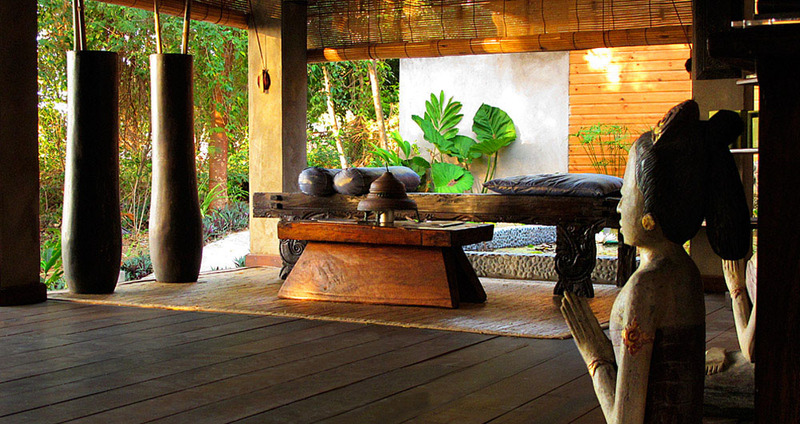 It is partially covered with a thatched roof and comfortably furnished with Indonesian daybeds and sofas. The Sunset Bar faces west for maximum ‘sunset appreciation’. 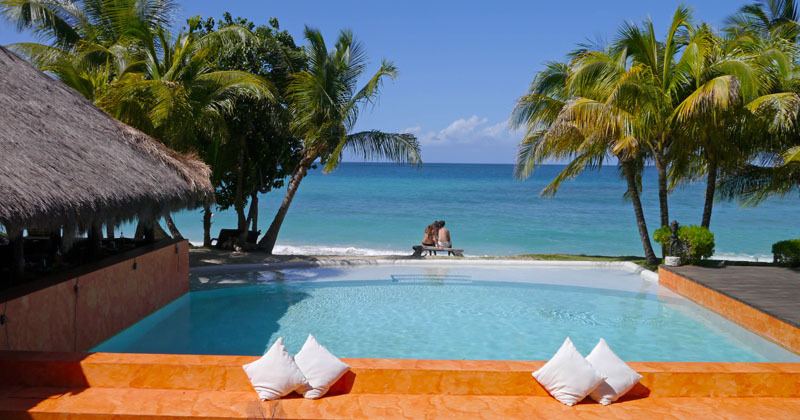 The pool is a blue oasis framed by the emerald green sea, located directly on the property’s secluded white sand beach. 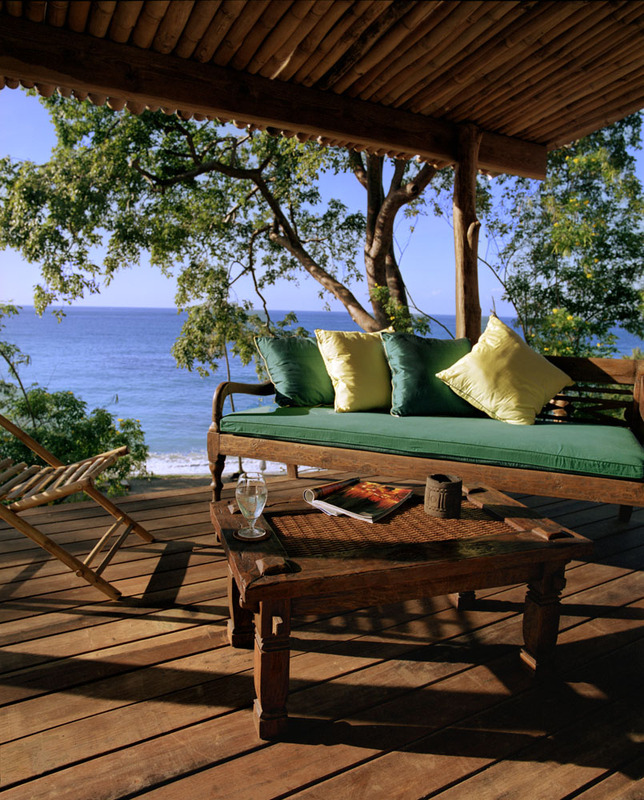 It is surrounded by a wooden deck, tastefully appointed with teak sun loungers. 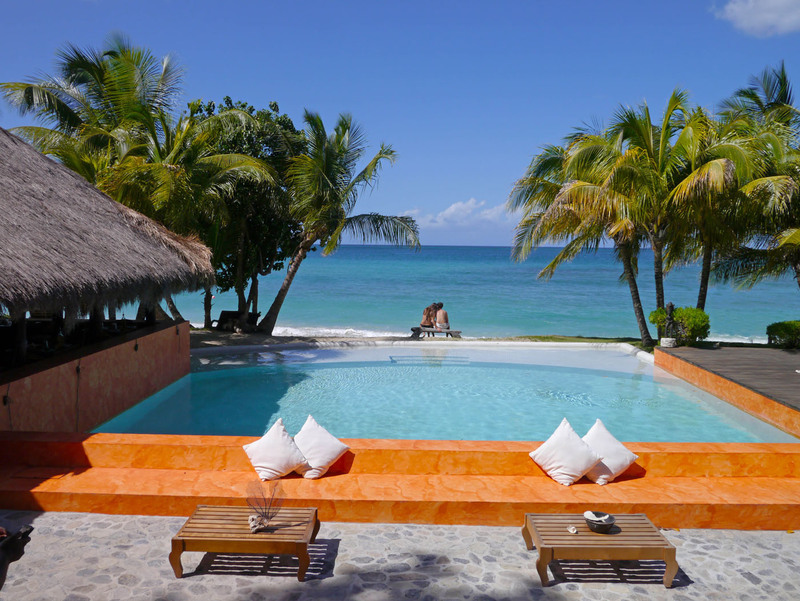 Guests can take a refreshing dip in the salty sea, and return to enjoy the fresh water or sunbathe along the 5’ wide shallow edge of the pool. Despite the vast ocean (lap pool), the lengthy beaches (natural treadmill), LALUNA offers a fitness room with a treadmill, stationary bicycle, weight machine, free weights and mini step machine, for those who need the gym environment for their work-out routine. 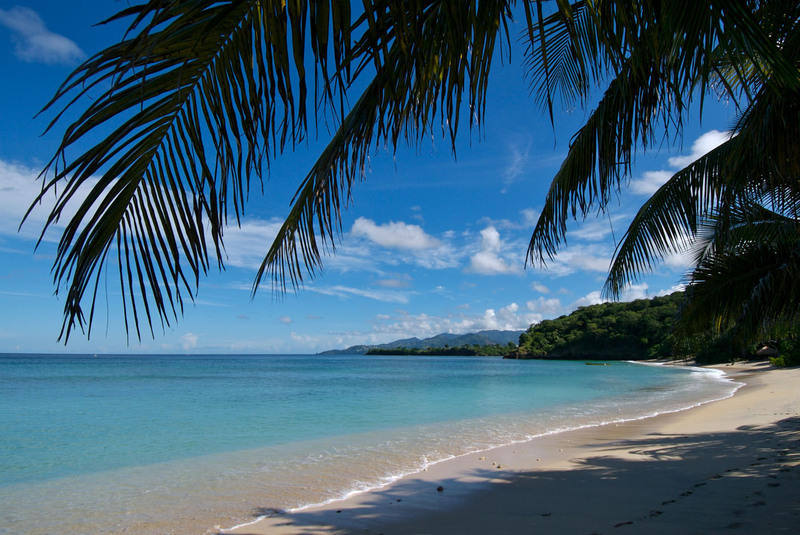 There are also mountain bikes, snorkelling, hobie-cat sailing and kayaking. 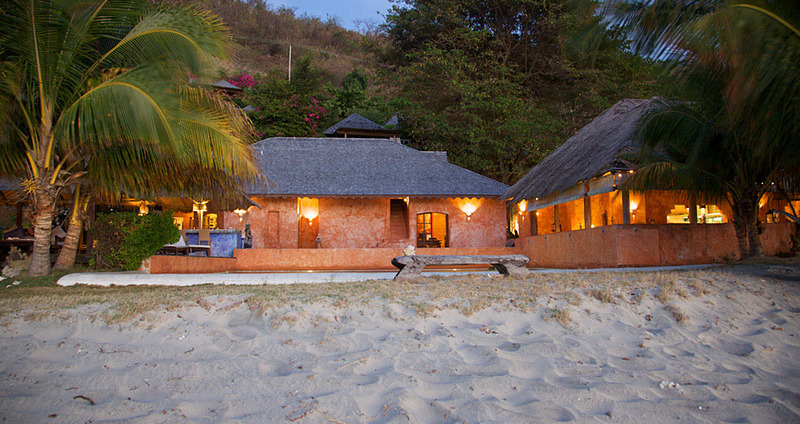 The Yoga pavilion is set directly on the beach, with daily classes, in varying yoga techniques: Hatha, Kundalini and Vinyasa. 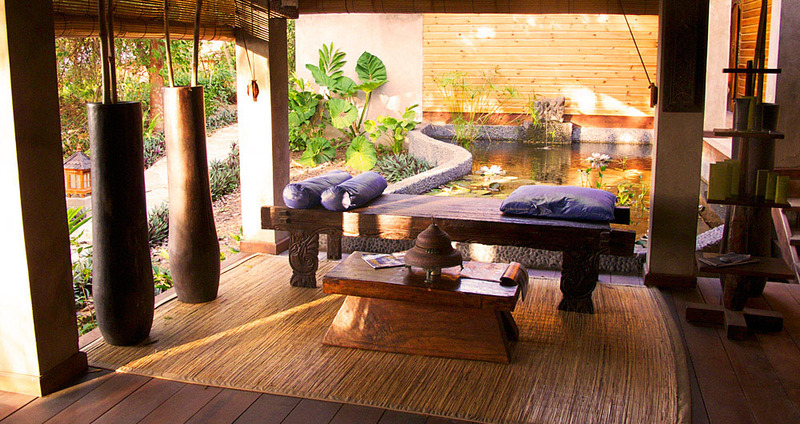 The Asian Spa features two treatment rooms that can be converted into a single unit for couples massages, a Tatami room with handwoven wall finishing, allows the massage to be done on the floor on a Tatami mat, which allows for more stretching, and foot pressure of the therapist body weight. The wet room, utilizes a Vichy shower, which give the sensation of a rain shower used between, mud applications, and massages. 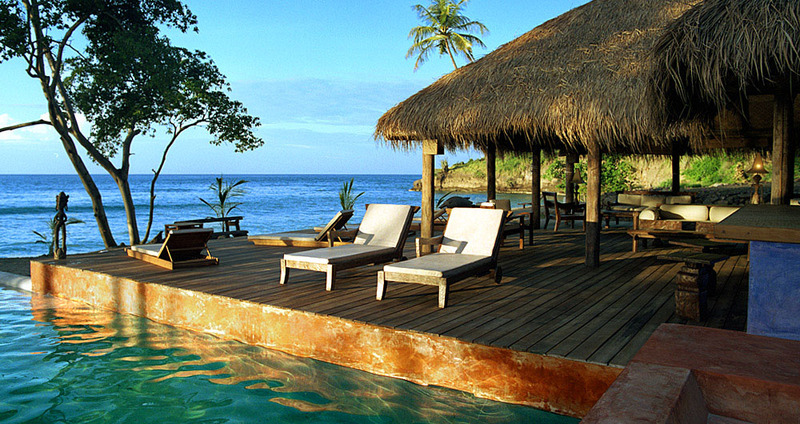 New to the Laluna inventory are Laluna Villas. These 3, 4 and 5 bedroom villas which are a great alternative to the cottage accommodations offered at the resort. 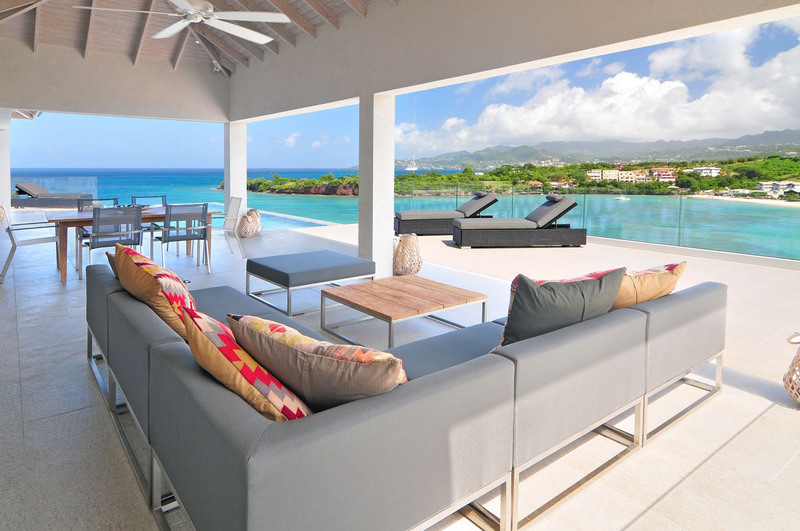 This five-bedroom water-front Villa offers an even more individualized and luxury Laluna experience to guests wanting to stay in a private residence with access to resort amenities. In few words, it is the best of both worlds. 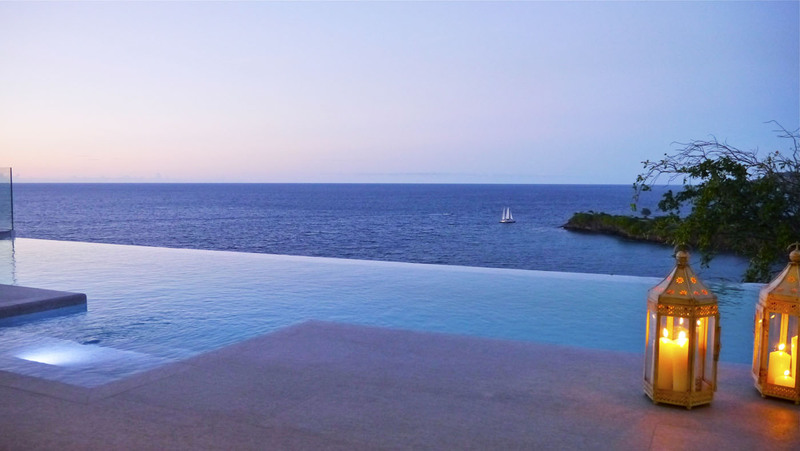 Guests will adore long, relaxing afternoons spent lazing around the private infinity edge pool on comfy chaise lounges, taking in the breath taking ocean views and enjoying the gentle breeze provided by the trade winds. 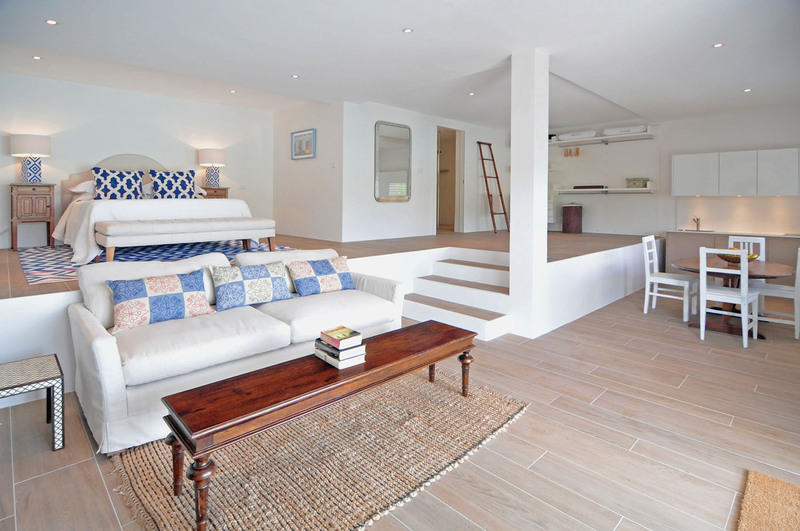 A fully equipped gourmet kitchen, well-appointed indoor—as well outdoor—living/dining spaces, and a separate spacious roof terrace featuring a barbecue area and outdoor dining space make the Seascape Villa ideal for group travellers.